BatchMaster ERP is an affordable, user-friendly and comprehensive ERP software primarily created to cater to the needs and demands of the process industries such as food, beverage, chemicals, nutraceuticals, and pharmaceuticals. It centralizes basic and complex manufacturing processes and workflows such as sales, purchasing, inventory, financials, product development, manufacturing, distribution. actionable manufacturing, financial and supply chain data. BatchMaster ERP centralizes all these processes and information, making access instant and secure. By doing so, the software takes out duplicate data entry from the picture along with associated errors and subsequent expenses. This ERP platform works seamlessly with other business applications including QuickBooks, Sage 100 Sage 300, Microsoft Dynamics GP and SAP Business One Financials. The BatchMaster ERP system provides you with a system that is created with the needs of process manufacturing industries in mind. It is built from the ground up to meet the specific requirements of your manufacturing business and its processes, procedures, and workflows, and compliance needs. By centralizing your operations, processes, and workflows, it puts you and everyone else on the same page, enables you to access the same information so everyone can work effectively and efficiently as individuals and as a collective whole. With BatchMaster ERP process manufacturing system, you have a platform that delivers a singular, unified view of your business, including real-time KPIs and indicators from which you can derive actionable insights that you can use to make smart business decisions, adjustments, and changes to the way you do business. The software lets you see your business from a wide perspective but it gives you the ability to drill down and focus on the minute details whenever you need to. Access to real-time and reliable information and insights and being able to act or respond based on actionable data helps you to increase production and dramatically accelerate your products’ time-to-market while keeping your operational costs down. This is because the software is also built to aid in cash flow optimization. BatchMaster ERP also improves and ensures your business’ compliance with industry-specific regulatory mandates. What Problems Will BatchMaster ERP Solve? The supply chain is getting more complex day in and day out with the inclusion of vendors, distributors, contract manufacturers, suppliers, online stores and such. BatchMaster ERP through its buffet of solutions streamlines every business-critical aspect of the supply chain from procurement, inventory management, planning, production, finance, Taxation, sales, quality, compliance to e-commerce integration and even Point-of-Sale. It brings all stakeholders on a single platform and offers business intelligence, analytics, and dashboards that enable taking more value out of the data stored. Delivering useful information in a meaningful and interactive format, BatchMaster ERP aids strategic decision making. Frequently changing and stringent getting laws and guidelines have made it difficult for manufacturers to meet them through paper or excel based methods. BatchMaster ERP smart solution helps organizations to track and trace, generate compliant labels, comply with regulatory bodies, industry standards, and norms, declare allergens or hazardous materials, ensure NC/CAPA, help check the safety of workers and end-user and much more. Additionally, quality control and quality assurance are added advantages to fully ensure meeting GMP & customer expectations. Today’s tech-savvy, overly aware, quality-conscious, curious and open-to-experiment customers have put immense pressure on manufacturers to continually innovate newer, eco-friendly and better products. BatchMaster ERP, through its laboratory, Sample Management & Formulation modules, helps develop new products faster and cheaper than the competitors. Seamlessly integrating with company’s financial and accounting processes, BatchMaster ERP makes it easier to manage and spend resources and assets wisely along with smartly catering financial reporting requirements. Each organization has different needs and requires an application that can be customized for their size, kind of workers and clients, and the specific industry they are in. For these reasons, no software can provide perfect functionality out-of-the-box. When you look for a software product, first be sure what you need it for. Read some BatchMaster ERP reviews and ask yourself do you want basic tools or do you want complex tools? Are there any industry-specific tools that you are searching for? Obtain the answers to these queries to assist your search. There are multiple aspects that you need to mull over and these include your budget, particular business requirements, your organization size, integration needs etc. Take your time, try out a few free trials, and finally select the system that provides all that you require to enhance your organization efficiency and productivity. How Much Does BatchMaster ERP Cost? Contact BatchMaster ERP to know more about their basic and enterprise pricing information. You can also submit a request for a demo to see if the software is a perfect fit for your business. 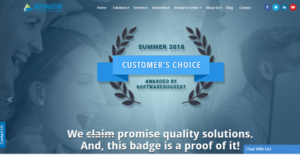 We realize that when you make a decision to buy ERP Software it’s important not only to see how experts evaluate it in their reviews, but also to find out if the real people and companies that buy it are actually satisfied with the product. That’s why we’ve created our behavior-based Customer Satisfaction Algorithm™ that gathers customer reviews, comments and BatchMaster ERP reviews across a wide range of social media sites. The data is then presented in an easy to digest form showing how many people had positive and negative experience with BatchMaster ERP. With that information at hand you should be equipped to make an informed buying decision that you won’t regret. What are BatchMaster ERP pricing details? What integrations are available for BatchMaster ERP? If you need more information about BatchMaster ERP or you simply have a question let us know what you need and we’ll forward your request directly to the vendor.